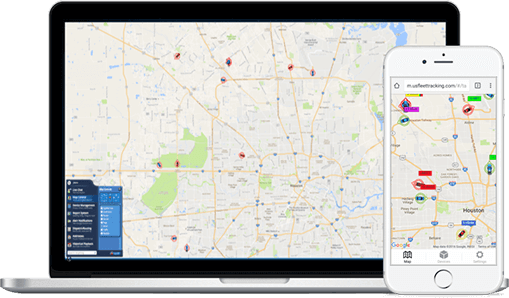 GPS Tracking & Monitoring | SMI - Snow Management, Inc.
A winter storm presents unique logistical challenges when trying to service our customers quickly and efficiently. GPS tracking gives us real time data for the locations of our trucks and equipment as they are attacking a storm. Our system allows us the ability to track where they have been and navigate where they need to go. Because the software makes historical information available, our management team can review past performance on snow removal and adjust our responses for the next big storm. That means faster, more efficient service for you – our customer. If someone says they slipped on your property, can you prove you had a company clear your lot and walkways? Since all of our trucks and equipment use GPS tracking, you will be able to prove exactly when we were on your property. The American Bar Association reported in 2014 that because of its apparent intrinsic accuracy, GPS technology can replace expert testimony in cases in which a disputed fact concerns the location of a person or a vehicle at a particular time. GPS tracking enables our management team to know exactly how much time is spent on each job and where the snow has been plowed. This means precise and accurate invoices.